X-bo phone are Mediatek chipset that comes in various specification and some time comes as clone of HTC phone e.g x-bo m8. The presence of this phone have grown geometrically due there low cost of purchase. The phone company don't have official website for support, most of what is available are from developer who have the passion to share knowledge. 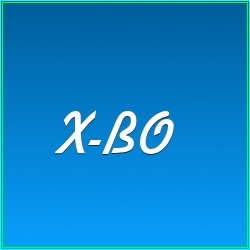 X-bo phone can be flash just like other MTK devices using the SmartPhone Flashtool. The instruction is give below. Wait file to be added into Flash Tool Select "Download Only" or if upgrade "Firmware upgrade"
Press “Download” button to start and connect your phone into the computer via USB data cable. The process will start and a red progress bar will appear after color purple, yellow. And green circles display Finish !